It’s been nice to see the vine rows turning fall colors in the golden sunlight, knowing that another Harvest has just about come and gone. There are fewer grape trucks pelting down the highways, more folks at the gym on a Saturday morning and the Halloween decorations are in full force up and down our street in Napa. Even though there are still plenty of active fermentations in the cellars (and some pumpover night shifts still happening), this year I’m guessing there will be a few more mommies and daddies out there with their little trick or treaters enjoying the early end to Harvest 2013. It was a year that threw us a few tricks but luckily, left us with a lot of treats. 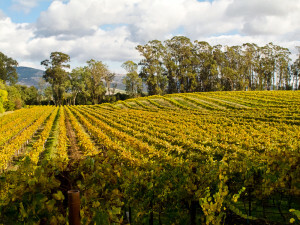 Colors and flavors are amazing, we had near-perfect weather during picking in the Garnet Vineyards of Napa, Sonoma and Monterey counties and though it was a little fast and furious, I’ve got very few complaints (and winemakers are a hard-to-please bunch). Here’s my lineup of some “trick-and-treat” highlights, and what it might mean for how the wines of 2013 will continue to develop. 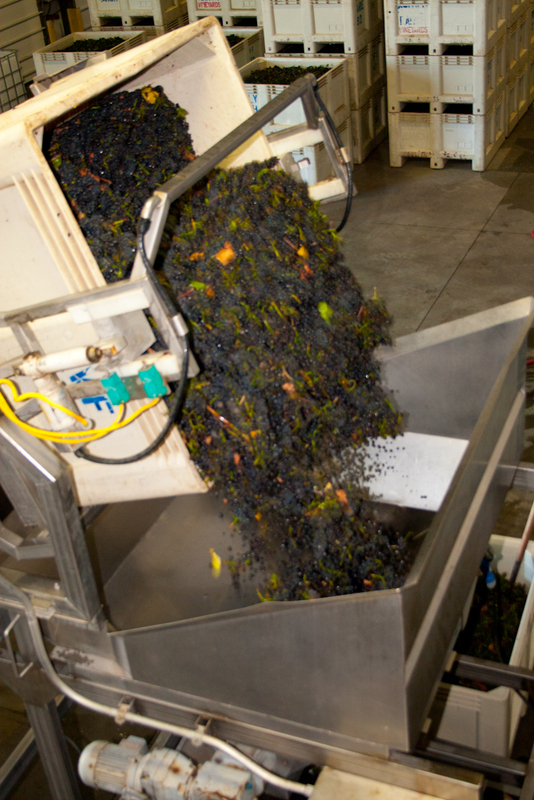 Harvest was fast: This is a good thing if you’re the harvest widow(er), but not necessarily great if extended maceration or other drawn-out tank gymnastics are important for your wine style. 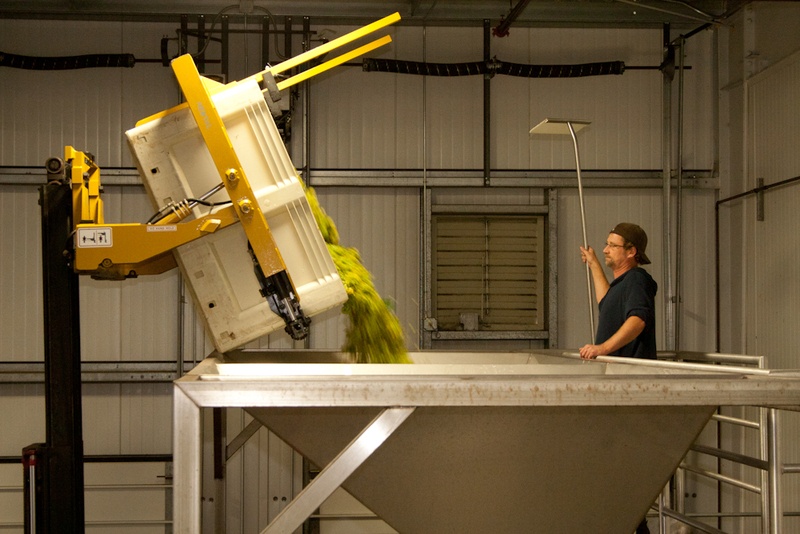 This year, the pace of grape ripening and picking meant you had to get tanks fermented and pressed, and empty for the next load of grapes, in a timely manner. Winemakers who rely on weeks of extended macerations (typically a Cabernet Sauvignon tactic) for their wine style signature probably did a lot less of it this year. 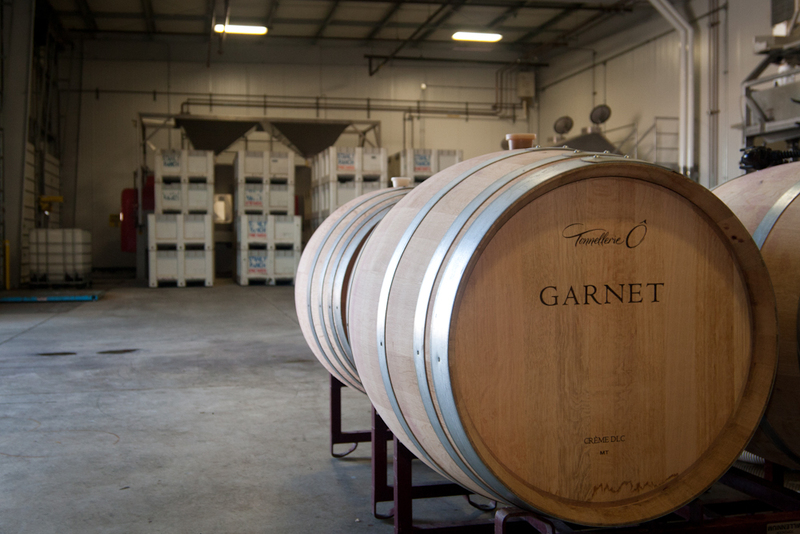 At Garnet Vineyards we make only Pinot Noir and Chardonnay, neither of which needs a long time in tank, so we were in and out of our tanks on a relatively typical 9-10 day schedule. It did mean that a couple of blocks hung out a few days longer than necessary and some lots were fermented in white picking bins because tanks were full, but the latter just provided more opportunities to do more “open top punch down” ferments for added diversity. 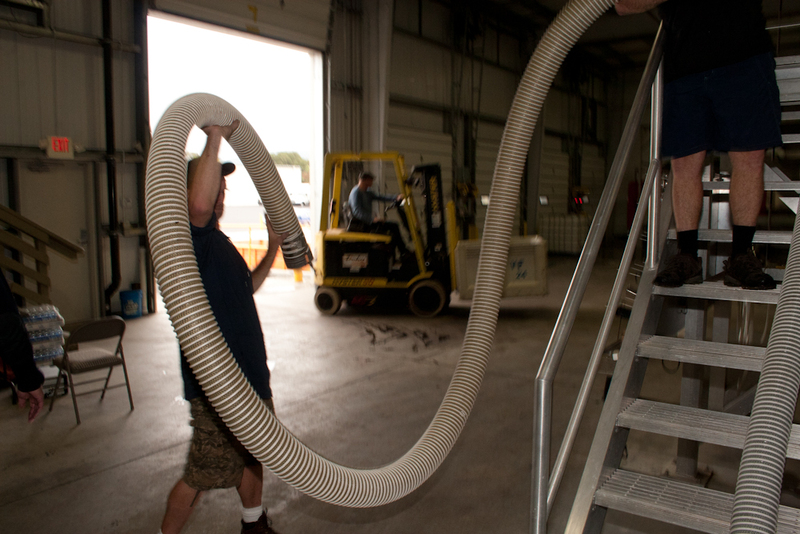 However, because the cellar crew did such a great job at picking up the pace on pressing and barreling down, we were able to get everything through. 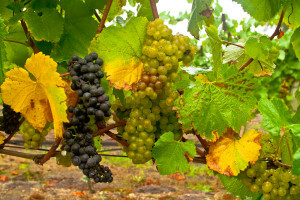 Crop size was healthy: Who would’ve thought that after the sizeable 2012 harvest Mother Nature would have the reserves to serve up another healthy helping of grapey goodness? Though not all areas of the state reported above-average yields, many areas did. 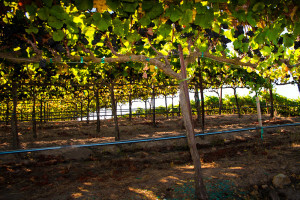 The vines, however, were showing signs of stress as the season progressed, possibly due to low potassium levels and depleted soils after producing two bountiful harvests. 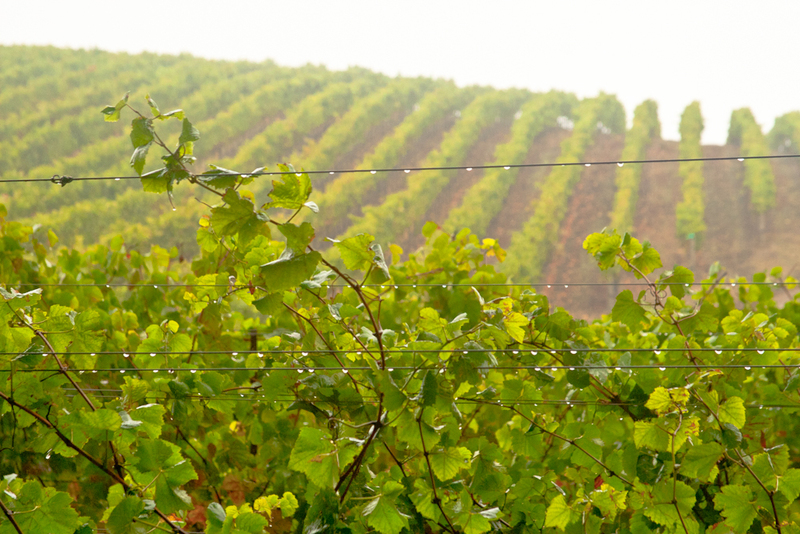 Two healthy, high-quality harvests seem like a good thing, though, given that there is talk of a global wine shortage, and that American wine consumption keeps rising. Harvest was early: Early budbreak and a warm, dry spring in much of California was our first sign that Harvest would be a little early this year. 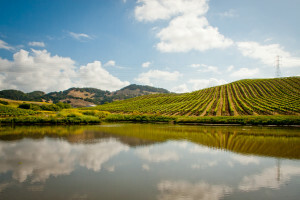 In early July a brief heat spike in Northern California looked like it might turn up the pace of ripening even more, piling up mid-October’s Rodgers Creek Pinot Noir right on top of September-ripening Stanly Ranch Carneros Pinot Noir. Two weekends of cool weather in late September, however, slowed things down and let everything’s pick windows widen just enough to walk it all through the winery. Pinot Noir is a thin-skinned grape and late October rains can wreak havoc on quality, so wrapping up a harvest season a couple of weeks earlier than usual, and being able to forget about the weather forecast, was definitely a treat. 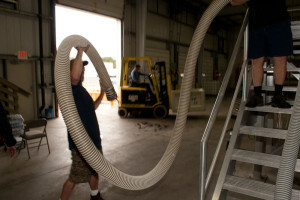 Fermentations are healthy: Primary alcoholic fermentation, where the yeast eat the grape sugars and turn them into ethanol and carbon dioxide, went off pretty much without a hitch. This is a good indication that, possible vine depletion aside, the grapes still grew all the micronutrients the yeast needed for a healthy, complete fermentation. 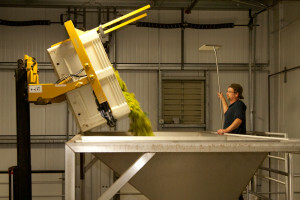 Malolactic fermentations, where naturally-present bacteria transform the grape’s malic acid to a softer, rounder lactic acid, are off to a great start. 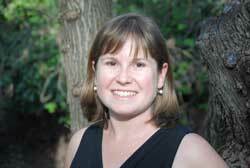 It’s possible that a warm, dry growing season lessened the amount and diversity of the usual inoculum of spoilage organisms on the grapes, allowing the “good guy” microbes in the cellar to do their job with less competition and less drama. 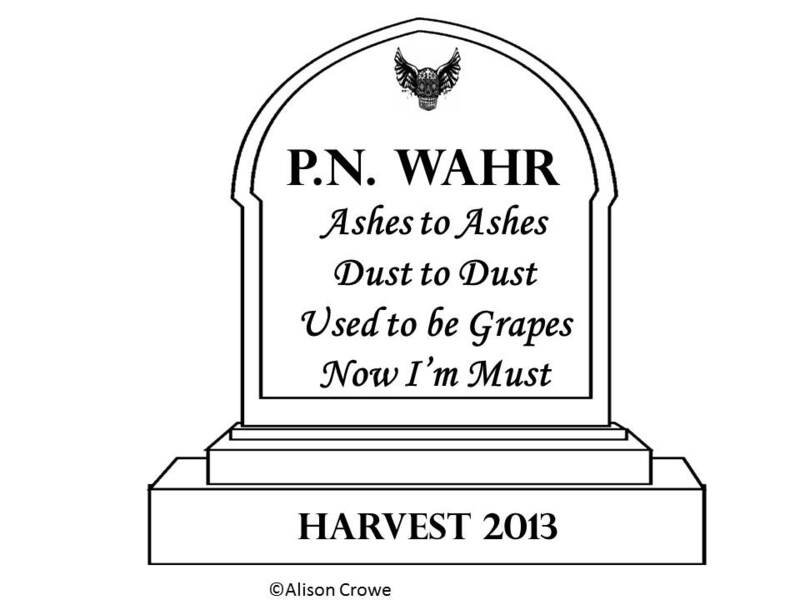 Musts were balanced: I don’t “pick by the numbers” but if I did, Harvest 2013 would be one for the record books. When everything was “ripe” by flavor and tannin development, which is what I let be my guide regardless of sugar or acid levels, pH, total acidity and micronutrient levels seemed to be right where you would want them. 2013 was a year for minimalist Pinot Noir winemaking, where Mother Nature gave us ripe, flavorful and deliciously balanced produce right from the start. 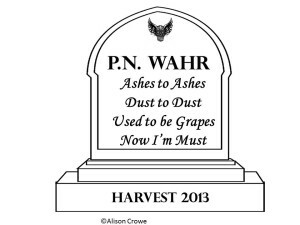 Quality so far, is wonderful: This is the best Halloween harvest treat of all- a cellar full of happy wines, and wines I’m very happy with. Yesterday I did a vertical tasting of one of my Carneros Pinot Noirs with a well-respected Master of Wine who is a long-time colleague. He evaluated the 2010 and 2011, of which he preferred the latter. But it was when he got to the 2012 (still in barrel, will be bottled in a few months) that his eyes really lit up. 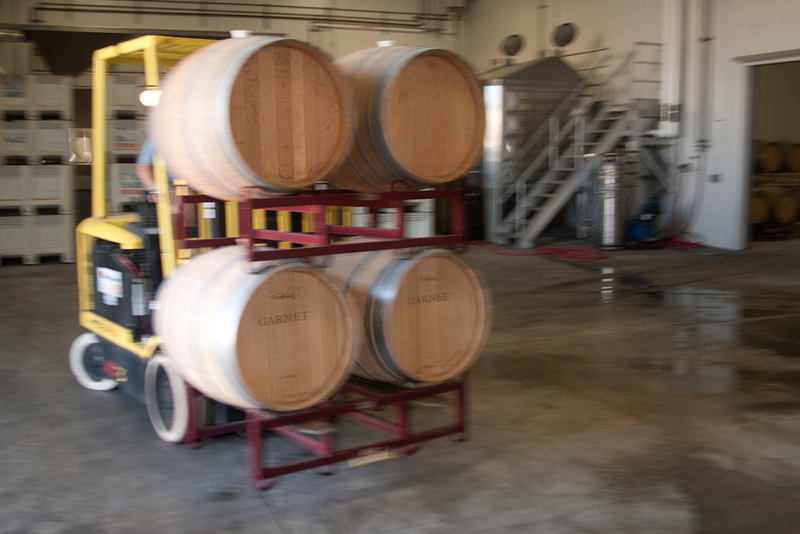 Then he tasted the 2013 which was still going through ML fermentation and had only been in barrel for 8 weeks…..and in his gentlemanly and unassuming way suggested that California had just produced two stellar back to back harvests. 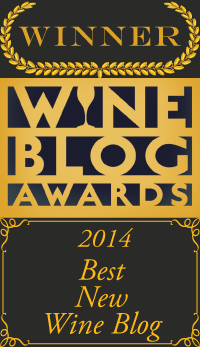 It’s just one man’s opinion on one vertical of one wine….but I have to admit I agree completely! Happy Halloween and Happy (end of) Harvest! “It’s Happening in Soledad!” The old billboard always made me wonder what exactly was happening there. Alien abductions? The Spanish Inquisition? Those of you who are frequent Highway 101 travelers know that the city of Soledad recently curtailed such roadway reveries when they replaced said billboard with a revamped model. To wit: The old one must have been designed circa 1972 in an era of disco balls and feathered hair and proudly declaimed, in Brady Bunch colors and font, that “It’s Happening in Soledad!” Rainbow arrows like the stacked soles of my rubber flip flops pointed in a cheery chevron to a cartoon of the Soledad Mission and the Pinnacles National Monument. 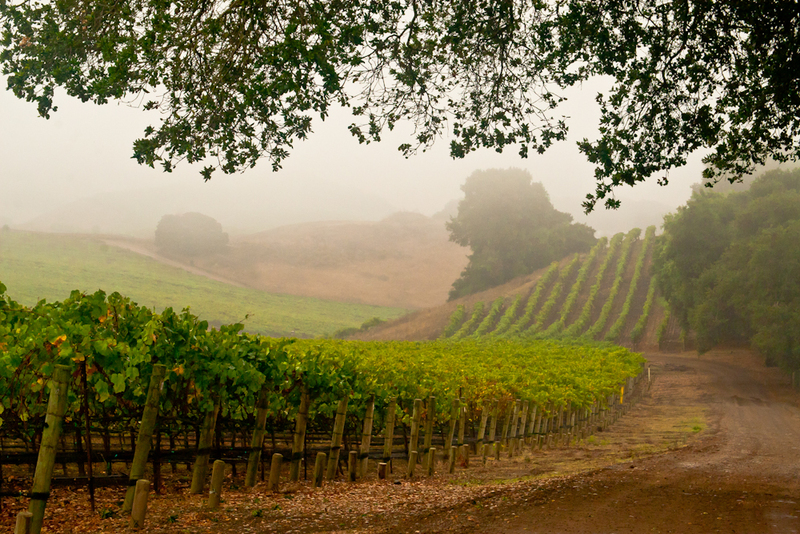 As a UC Davis winemaking student driving between college and my Santa Barbara County hometown of Carpinteria, and later, as an intern at the famed Chalone Winery at the feet of the Pinnacles themselves, I have to admit, I was intrigued. What exactly was happening in Soledad? The plague? A convention of 70’s hot-tub salesmen? Alien abductions? The Spanish Inquisition? We’ll never know. Well, at least, we’ll just no longer be as curious, which is the real loss. The funky, cheeky graphic has been replaced with an altogether too-conventional and too Chamber of Commerce-approved sign whose tagline, “Gateway to the Pinnacles” makes it amply clear that camping, hiking and succulent-watching are all that the city elders think is happening in their burg. But as I’m sure Jim and Marge would agree, plague-laden hot tub salesmen getting abducted by aliens just sounds so much more fun. 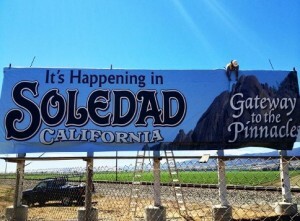 The new Soledad sign. Nowhere near as happenin! But seriously, it IS happening in Soledad. Harvest, I mean, and in and around Soledad. 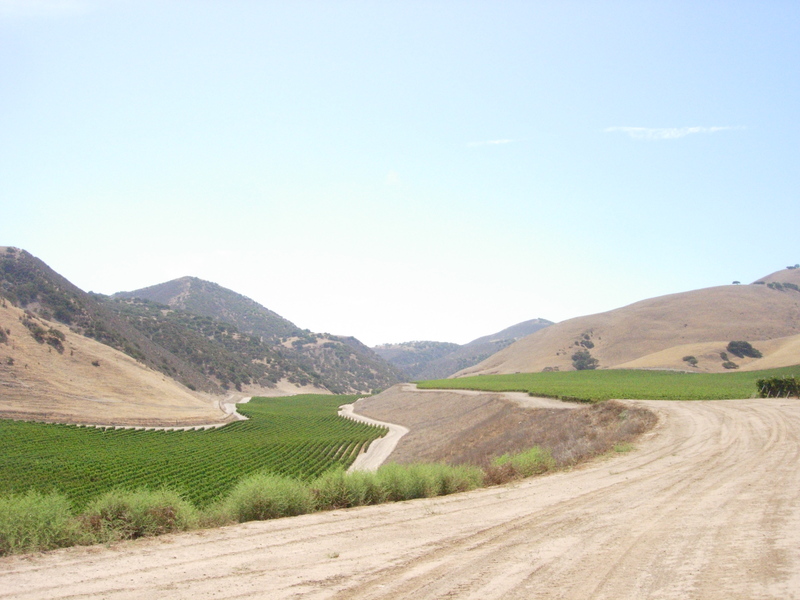 The Monterey County Pinot Noir crop is poppin’ and we’re pulling in blocks from our estate vineyards up and down the Salinas Valley, the rolling eastern hills to the Santa Lucia Highlands. 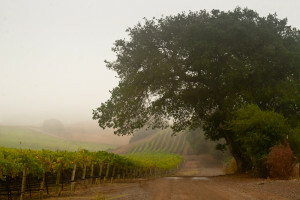 This is indeed the time of year when thoughts of the Pinnacles are far from my mind as we bring in great-looking fruit from Arroyo Loma Vineyard, Alta Loma vineyard and others. We’ve got only a few more days to go before the entire Monterey crop is in….and then Harvest 2013 for Garnet Vineyards will be in the barn! Garnet Vineyards’ Alta Loma Vineyard tucked into the Santa Lucia benchlands. 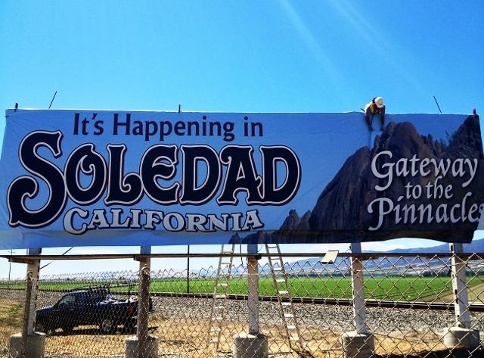 But as long as the billboard is standing, “improved” graphics not withstanding, it will always still be “happening” in Soledad………. 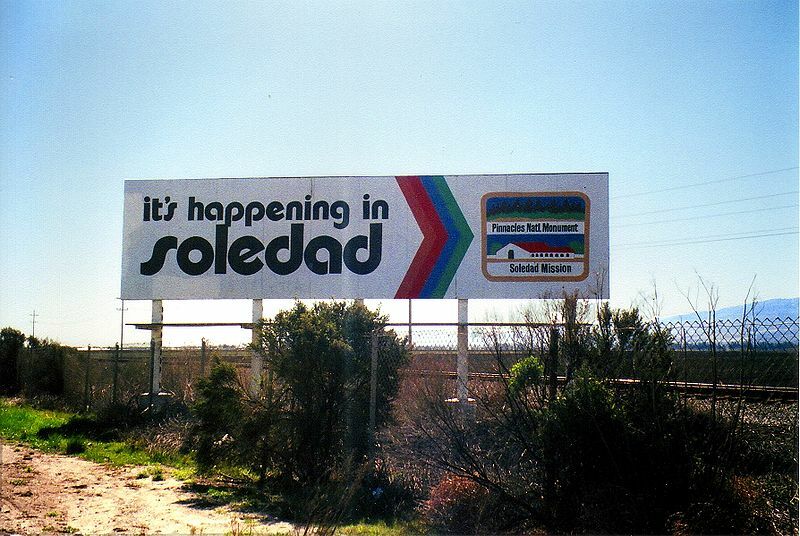 Are YOU a fan of the old Soledad billboard? Come on, you know you are! Check out these T-Shirts I found online! The holiday gift-giving season approacheth…. *Forgive me, I saw Spamalot at the Napa Valley Opera House this last weekend. 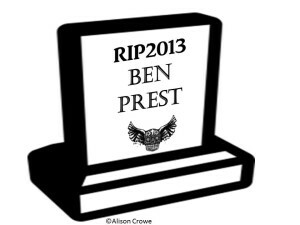 Copyright Alison Crowe 2013. 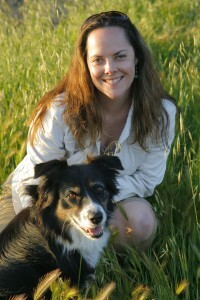 Alison Crowe is the Winemaker at Garnet Vineyards- check us out at garnetvineyards.com, Twitter @GarnetVineyards and Facebook! 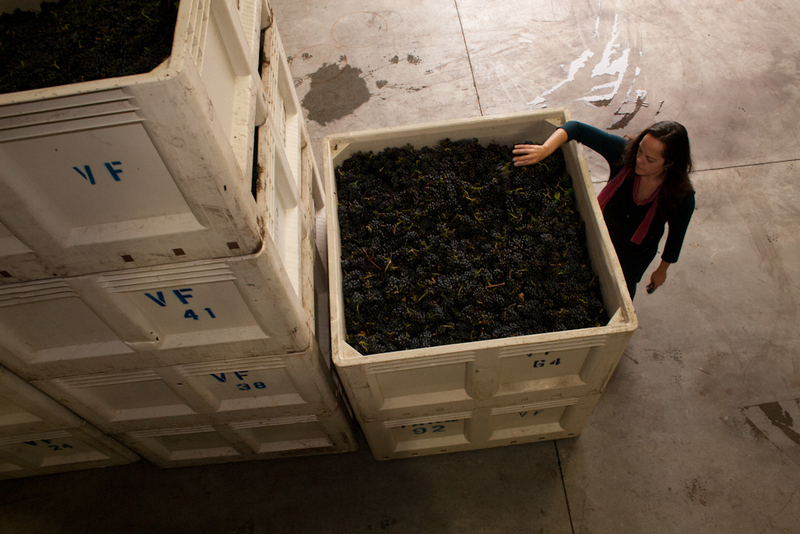 Bins of hand-picked Stanly Ranch Pinot from Carneros, waiting for their turn to become wine! 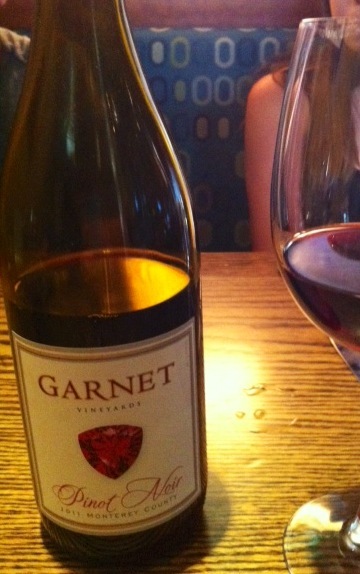 Here at Garnet Vineyards the Pinot Noir on the North Coast has been coming in just one block after another. The tsunami of grapes that I saw coming two weeks ago has already hit and residual waves are gently lapping at the winery as we walk ripening blocks of Pinot through the tanks one by one. The stellar cellar crew (say that five times fast) is getting into the groove of crushing first thing, monitoring Brix levels (we measure the juice sugar levels to keep tabs on the health of each fermentation) in the morning, and pumping over and punching down twice a day to make sure the cap (floating grape skins) is getting mixed up with the juice to extract color and tannin. Using eighteenth century “technology” to check the sugar levels of my fermenting Pinot Noir must. 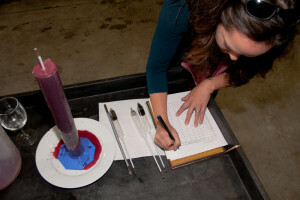 By floating a hydrometer (weighted glass tube with a density scale on it) in the wine, we check to make sure the fermentation is ticking along nice and slowly. Mother Nature has smiled on us this week and hasn’t served up any more heat spikes (knock on French Oak) like that little one we had ten days ago. The mild weather we’ve been experiencing in Sonoma lately has meant that the Pinot clusters at Rodger’s Creek and Diamond Vineyards are being left to ripen literally in their own sweet time. We also are just about to get started pulling in Pinot Noir from our Alta Loma Vineyard in Monterey County; the Pinot harvest there should progress at a comfortable pace. The Sonoma Coast Chardonnay isn’t ripening as quickly as one would expect in this “earlier” 2013 harvest- perhaps due to low potassium levels in the soil, a residual effect of last year’s healthy-sized crop? Gorgeous day at Diamond Vineyards in Carneros- there’s plenty of time for 2013 Chardonnay to ripen up in the sun! 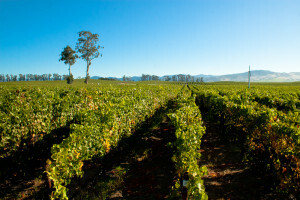 This year’s two week delay from normal is, “…probably due to a boomerang reaction to last year’s heavier crops, lower Potassium levels in soils, and a small heat spike we had in June, which caused leaf lamina damage in Chardonnay,” Pete says. The quality of the grapes shouldn’t be affected, which is good news. There is a tiny cool-down phase in the weather predicted for this weekend, though I’m not worried about any appreciable amount of precipitation. 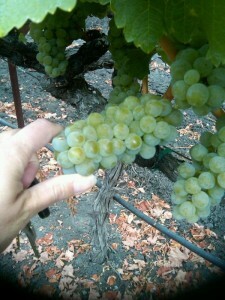 However, if it’s not windy enough to dry things out again, we’ll start having to watch for botrytis….but let’s not allow the paranoid scenarios of “what if” to make us spiral into a worrisome Harvest depression. It’s a gorgeous day today and we just have to wait for those acid levels to come down and flavor and sugar levels come up….let’s all remember it’s still just the middle of September. Patience! 2013 ain’t no day at the beach- there’s a tsunami of grapes out there! 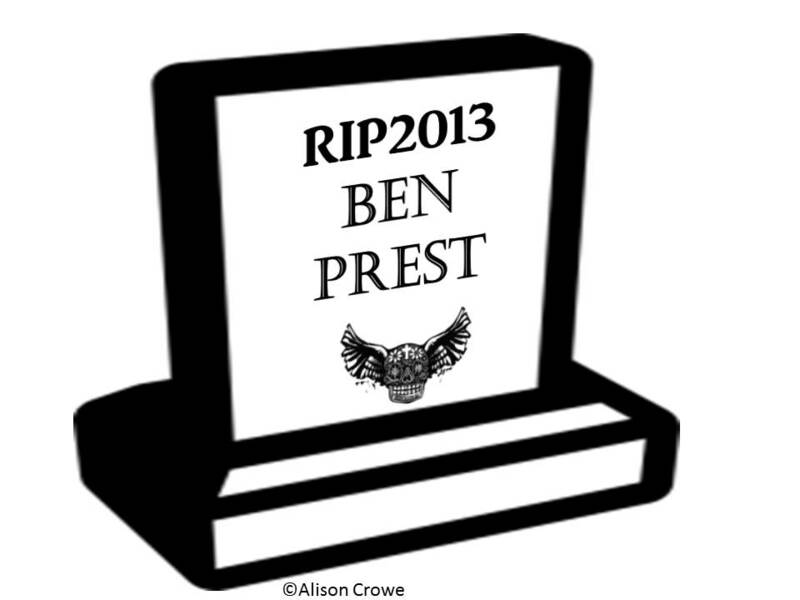 2013 will most likely be remembered, by those who pick grapes and make wine as the year we almost drowned. Yes, quality is looking great, sure, I like the aromas on the first Stanly Ranch Pinot ferments but who has time for critic-baiting niceties when you’re staring down the throat of the beast, and the grape tsunami of 2013 is about to eat you and your cowering crush crew for breakfast? 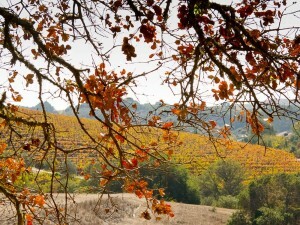 This is the deal: just about everything, especially in Napa and Sonoma Counties is ripening at once. I’ve never seen such narrow brix spreads between such disparate varietals as Alexander Valley Merlot, Carneros Chardonnay and Russian River Pinot Noir in recent memory. Garnet Vineyards makes wine in a little shared “garagiste” winery space off the square in Sonoma and, though we just make Pinot Noir and Chardonnay, our colleagues (a new definition for “co-fermenters”?) 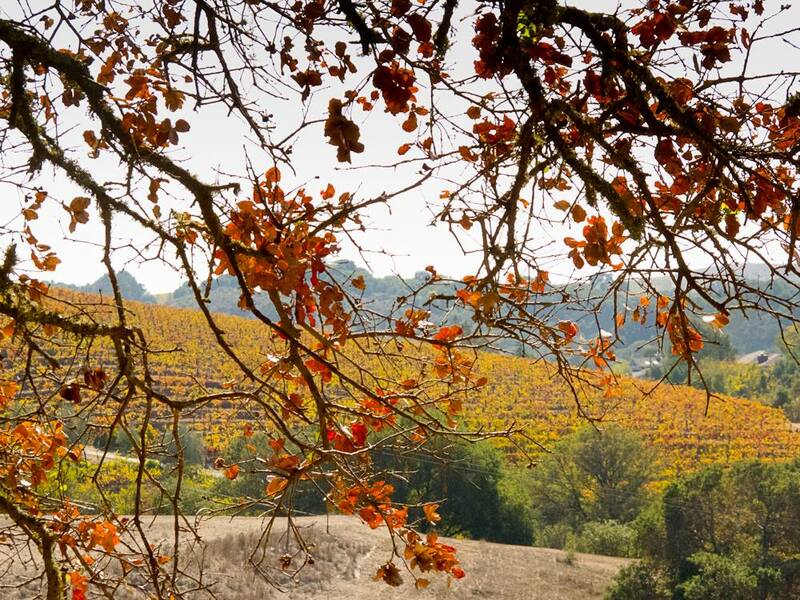 make many different “flavors”- Dry Creek Zin, Sonoma Sauvignon Blanc, Alexander Valley Cab…..and we are all in amazement at how quickly this harvest will thunder to completion. Though the actual start of harvest for Garnet Vineyards was only a week ahead of normal (first week in September, rather than the second), the grapes that follow on our Pinot Noir and Chardonnay are ripening a good two weeks ahead of normal. Great quality- problem is it’s all getting ripe at once! Tidal wave!!! That means that my friends’ Alexander Valley Merlot is going to want to be picked right when the tanks are full of Russian River Pinot Noir fermentations…so it’s a good thing I press out warm (Pinot Noir doesn’t benefit from extended maceration like Cabernet does)and have the barrels ready to go to clear the fermentation tanks for what’s coming next. 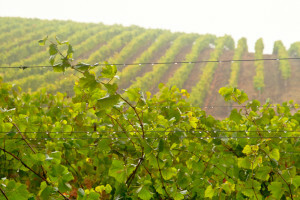 2013 will certainly be one of the most condensed, fast and furious harvest I’ve ever experienced. 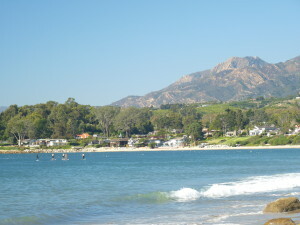 I grew up in Santa Barbara and worked for years at Santa Cruz’s Bonny Doon Vineyard where the interns and the winemaking team would sometimes make a dash to Cowell’s or to any number of our favorite surf spots for a little dip. One of the first lessons of surfing is when you see a big wave forming and you want to get the next one, the last thing you do is retreat back to the shore. It’s sure to crunch you up and roll you under the kelp like a load of dirty laundry. You have to face the wave, power over it and pop safely over to the other side, to await your next set. Though I don’t think a lot of surfing breaks will happen for anyone this year, here’s hoping we can take on the challenge and tame this tidal wave of grapes. Take a deep breath. It’s guaranteed to be a wild ride!